Hamsters, similarly to other small cuties, are very active. They simply enjoy running, chewing, burrowing, tasting and scampering around. This means that selecting a suitable environment for them is truly important. As serious as it gets, the product selection is not problematic – the variety of available products is more than sufficient. Once I show you what to look for, you’ll be able to pick the best materials for your pet and make a choice with your eyes open. Your pet’s preferences. Sometimes our little friends may disagree with our choices for no good reason. This situation is completely normal – if your hamster refuses to live in a cage with certain bedding, you won’t make him/her change the thought. So keep calm and get ready for experiments; even capricious animals can be tamed with care and patience. The best hamster beddings are made of paper – this simple material is safe, compostable, affordable, and highly absorbing. As for the specific beneficial features, each type of products has its own set of those. Most pet beddings provide a standard set of options, such as cleanliness or odor control; however, the best ones provide unique features. 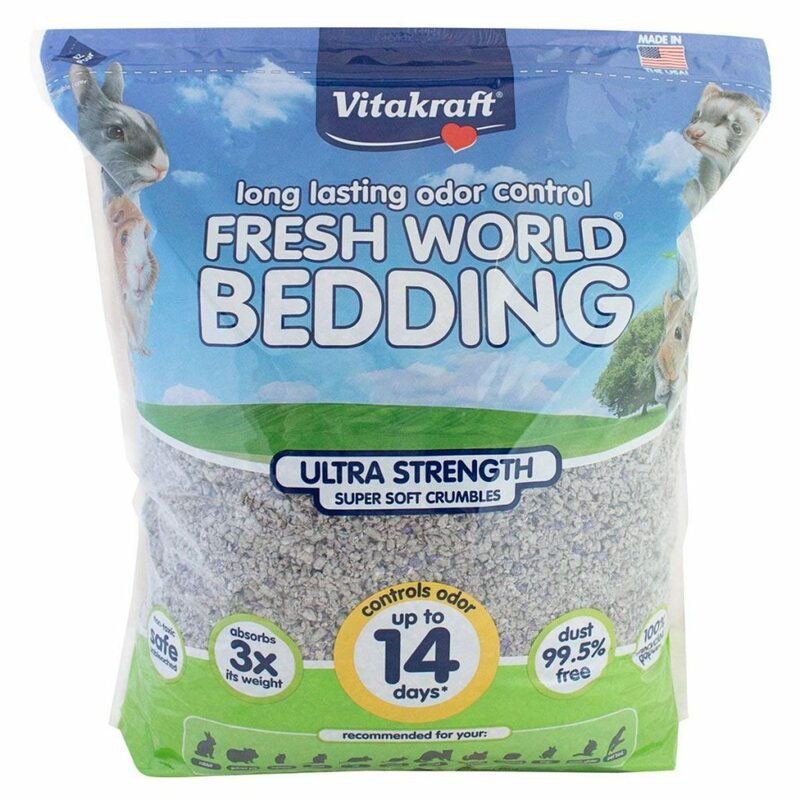 This pet bedding is currently the most common choice. At the same time, powerful customer feedback allows us to learn all its pros and cons with ease. It’s made of thick and dense natural material, so ultra-absorption stays among its main features. My favorite thing about this litter is that it comes in a variety of sizes and colors, including even rainbow in addition to white and brown. A great choice for most tiny animals – the paper is very soft, so you can be sure your pets will never hurt their tender paws. The litter contains no baking soda, which is also great. (Keep in mind: baking soda has been considered a perfectly safe component, but it tends to add a rather unpleasant odor). A great product with a convenient set of useful features! Works great for all small animals that build nests (hamsters, chinchillas, hedgehogs, rats etc.). Furthermore, it provides a moderately good odor control (a minimum of 7-10 days with no smell) and easily absorbs all the moisture. Do not forget to fluff it before spreading – the bedding expands greatly, so you’ll get a chance to save on extra bags. Natural and cozy bedding made of recycled paper with no potentially harmful additives. It is very easy to clean, dust-resistant and soft. From my professional experience, hamsters especially enjoy building nests with beddings of this type. 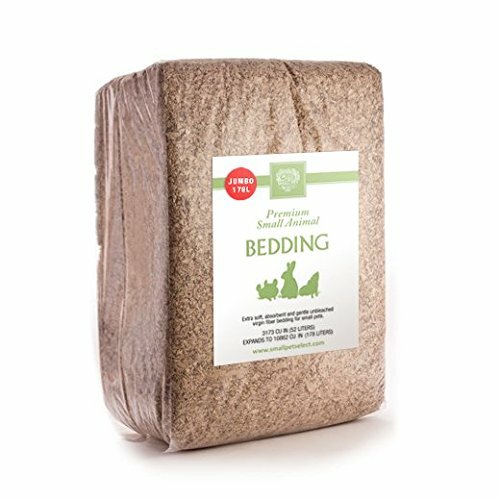 Depending on the volumes of moisture, crumble bedding can shield you from bad smell up to two weeks – although, I recommend changing bedding more often. It is versatile in use, too; rabbits and rats like it no less than hamsters do. What is a Hamster Bedding? 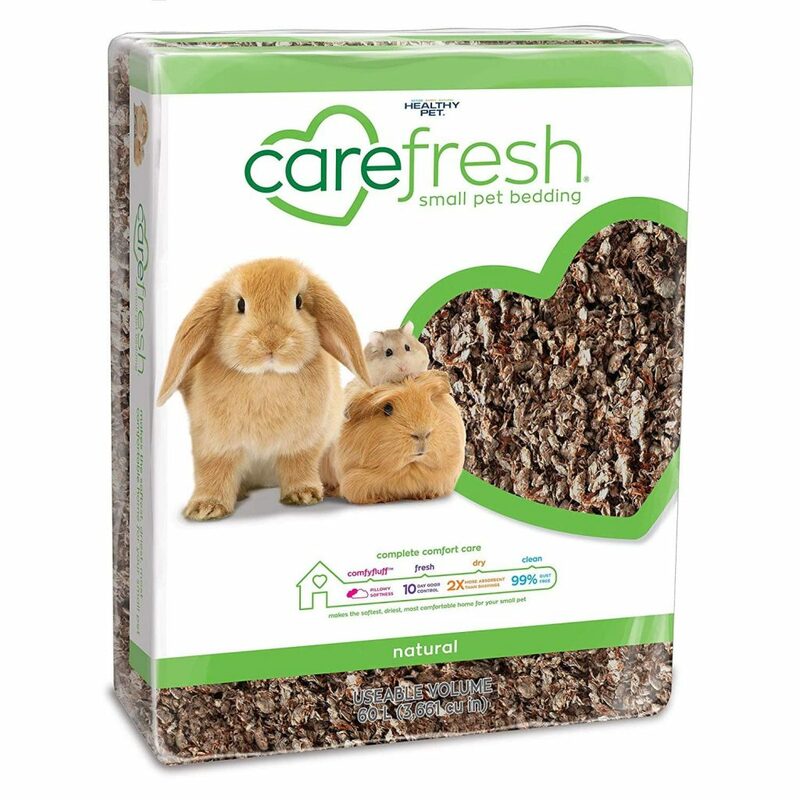 Hamster bedding is a fluffy soft and urine-absorbing material you should use to cover the cage’s floor. Hamsters cannot just sleep on a bare floor and, as you have probably noticed, they always try to make some sort of a nest – otherwise, they just don’t feel comfortable and safe. The general idea behind this product is to provide your pet with a soft non-sensitizing material to build a nest with – and ease up your troubles with cleaning a bit. However, I’d rather not think about bedding as a hygiene product only. Your lovely furball, obviously, should stay dry and warm at all times; still, the bedding’s safety matters highly, and many pet owners prioritize this over everything else. What to Consider When Buying Hamster Bedding? I always start with checking the materials. Make sure you are going to buy bedding made from a natural paper, which is soft and biodegradable. Next, check the absorption rate: fast absorption means no smell and no infection, so your little cutie will stay safe and clean. Make sure you can easily put it in/out of the cage. Finally, when it comes to odor, remember that healthy clean animals will naturally produce a faint characteristic odor. Try to avoid scented beddings because they may contain harmful substances. Trust me on this one; pet beddings from natural materials are more than effective in dealing with nasty odors. 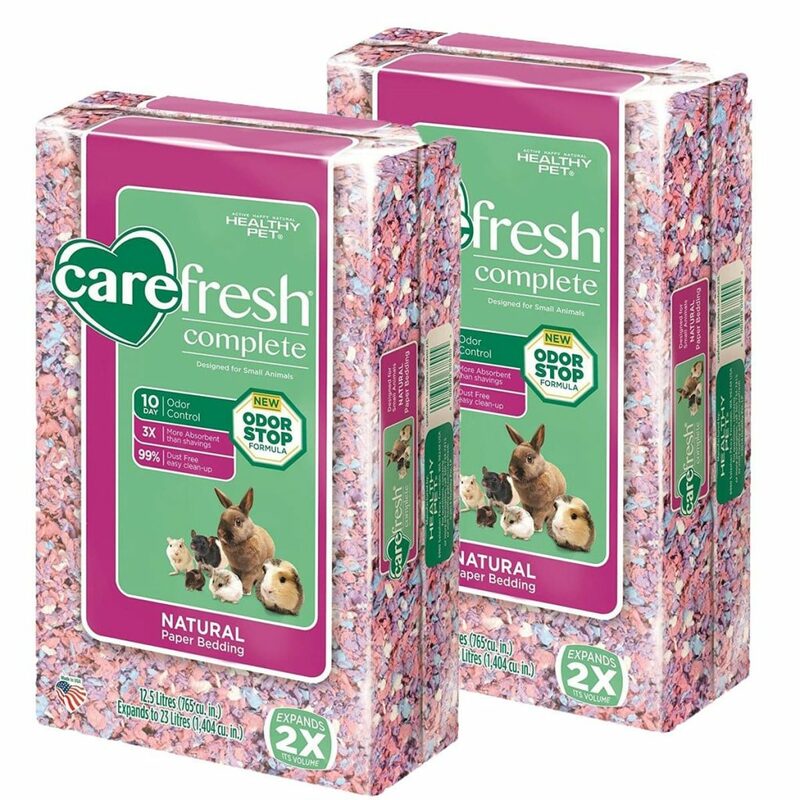 Can You Use Shredded Paper for Hamster Bedding? Undoubtedly, you can. Pet beddings made from various types of shredded paper and cardboard are considered one of the healthiest and coziest nesting materials for hamsters. Beddings made from paper are very lightweight, non-toxic, easy-for-burrowing, soft and almost dust-free. In fact, if you run out of pet bedding and have to deal with some emergency, you can even resort to toilet paper to cover the cage floor. Just make sure you shred it thoroughly because hamsters may (and when I say ‘may’, I mean ‘definitely will’) enmesh themselves in long strips of paper or ribbon. However, using newspapers is a big honking “no”. Ink is very dangerous for little animals, so make sure you do not leave a newspaper somewhere near the cage. no coconut fibers (hamsters tend to taste their beddings, while these long dense fibers are virtually indigestible). Certainly, providing your hamster with perfect living conditions is a tricky thing. And yet, no matter the cost, it always pays off with love and fun you can share with your pet. I’ve gone through my share of challenges, disappointments, and experiments, and the main thing I came up with is that care matters most. The time I spent looking for the best options has been rewarding – I hope I’ve brought something valuable for you here as well! As long as you treat your pets as living creatures with their own sympathies and needs, you will find the right solution in every situation. Great advice, I agree completely. If you treat your pet nice, they’ll in return behave better. Pets of any shape and form have emotions and feelings as well. Therefore, when caring for your pet make sure that you cater to their needs. Yes! Finally someone who agrees with me. Animals of any shape and size need proper care. My son recently got a hamster and I pretty much have no experience with taking care for animals; although, after reading a couple of articles I believe I have a solid understanding. Definitely going to get his hamster some nice paper bedding. Random question, but would you recommend getting a hamster a full on enclosure? I’ve been looking at some Petco has and am wondering what you would recommend for a cage. I’m trying to give my hamster a place to roam inside; however, something that costs under $40.00 preferably. Any ideas? Perfect, you would be surprised but most people look past the fact that hamsters are small animals which need a safe environment to live in. More importantly, I loved how you emphasized on the fact that due to a hamsters small size they are more susceptible to diseases and other types of issues. This is such a great resource. Hamster bedding is a must if you have your hamster living anywhere in your house. It will help you keep your hamster’s cage clean as well as smelling nice. I highly recommend that anyone who owns a hamster makes sure they have hamster bedding. If nothing else, you should pick up some moss or soft material instead of bedding.